Known as a major city in South Florida, Miami is right on the Atlantic Ocean and an exciting place for residents and tourists alike. It features long beaches, soft white sand, and blue green water that will instantly put you in a good mood. 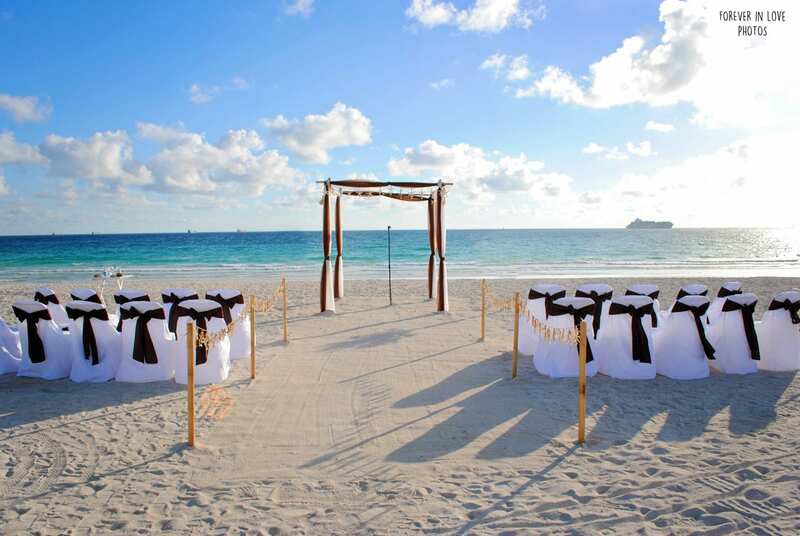 Miami Beach Weddings provide you with the tropical island feel, without the hassle of an out of country wedding. If you head to Downtown Miami, you’ll immerse yourself in countless cultural and sporting events, lively clubs and bars, and delicious restaurants. When the sun sets, you can take in the beautiful view of the skyline from the MacArthur or Rickenbacker Causeways. You’ll want to make your way to Miami’s Design District if you appreciate art and culture. This neighborhood is packed with luxurious showrooms and stores, art galleries, and Miami’s Institute of Contemporary Art. To experience a hip part of town that’s less touristy than other areas, take a short cab ride to Wynwood. You’ll find chic restaurants and one-of-a-kind public art displays, galleries, and independent shops. For a glimpse of some Mediterranean architecture, be sure to visit Coral Gables, which is situated right next to Miami. The Biltmore Hotel, 1925 Merrick House, and historic public swimming pool called the Venetian Pool are sure to impress you. Your guests will arrive to Miami for your wedding a few days in advance. This will allow you to explore all that Miami has to offer and create special memories with them. You won’t have to spend your wedding day greeting them. 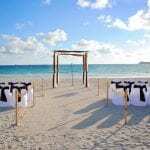 Miami Beach weddings are ideal for carefree couples who don’t want to deal with the stress that typically comes with planning a traditional wedding. 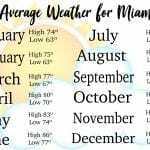 This is particularly true if you leave your wedding planning to our wedding coordinators at Florida beach weddings. Believe it or not, Miami beach weddings are affordable. 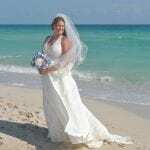 Choosing one of our Florida beach wedding packages, is the easiest and most affordable way to plan your wedding. In addition, you can reduce your guest list and only invite loved ones that you think will travel out of town. If you are short on time or money, you can still enjoy a honeymoon by hosting your wedding in Miami. There’s really no better honeymoon destination that the stunning beaches in this incredible city. This is one of the reasons Florida beach weddings are so popular. Years after your wedding has passed, you’ll sit down with your spouse and relive your wedding day by viewing your breathtaking wedding photographs that feature palm trees, blue skies, and crystal clear water. 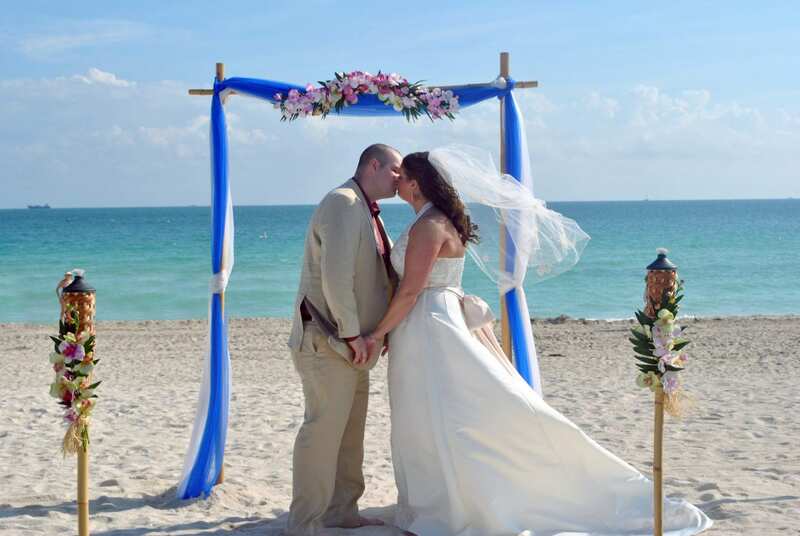 Here at Florida Beach Weddings, we are committed to helping you plan and execute your dream wedding. You can count on our friendly and experienced wedding coordinators to get to know your unique vision and bring it to life. We’ll handle all of the logistics of your ceremony so you can make the most of your time being engaged. If you’d like to elope and keep your wedding intimate, the Simply Florida package is right for you. 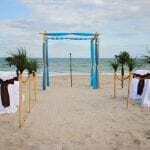 It’s intended for groups with less than eight guests, including you and your spouse and comes with an officiant, a ceremony photographer, a unity sand ceremony, a natural bamboo canopy, white or ivory flowing material, and the legal filing of your Florida marriage license. The Florida Nautical Knot package was designed for couples who don’t want to elope but still want a very small, romantic ceremony. If you opt for this package, you’ll enjoy bamboo poles in your choice of color and a bamboo topper of white lilies, tropical flowers, or a stand of starfish. Up to 14 chairs with covers and colored sashes are included as well. If you’d like to treat 50 or more guests to a wedding on Miami beach, the Florida Destiny package is the way to go. It features music, a decorated bamboo canopy, and up to 24 chairs at your ceremony site. With this package, you don’t have to worry about the hassle that normally comes with a larger wedding. We know that some couples are dreaming of a wedding that is truly out of the ordinary. 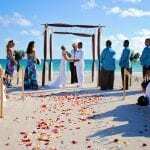 If this sounds like you and your fiancé, you won’t be disappointed by our Distinctive Design packages for Florida beach weddings. 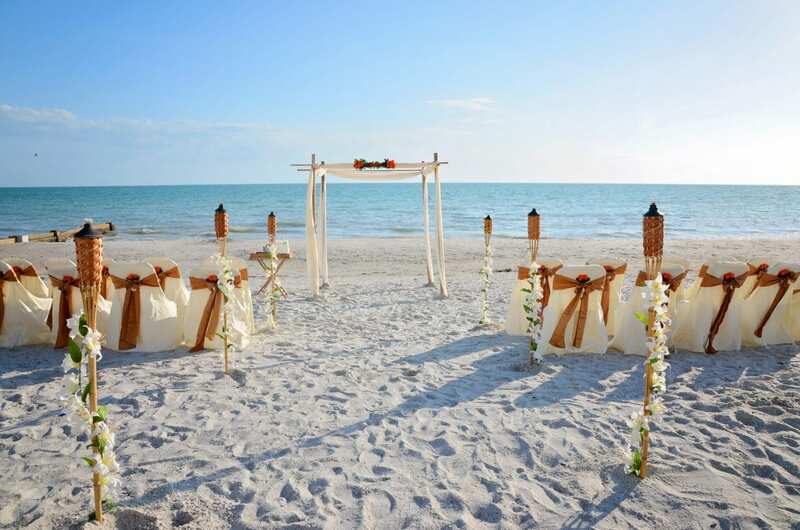 If you’d like to host your wedding in Miami, Your Florida Beach Wedding is an invaluable resource. The process of planning a wedding with us couldn’t be easier. Once you choose your wedding package and reserve a date, you’ll receive a packet via email that includes contract, general timeline, and worksheet where you can choose your color and décor options. The week of your wedding, we’ll send you a detailed agenda so you know what to expect. 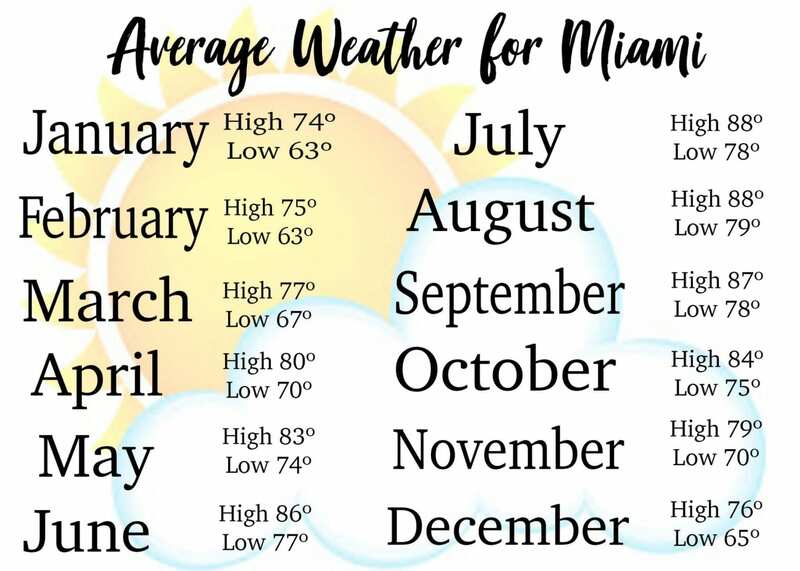 When you arrive in Miami, we’ll show you your ceremony site and make some recommendations on how you can enjoy your time before and after your wedding. For further details on our Miami beach weddings, browse our wedding packages and reach out to our wedding coordinators today.